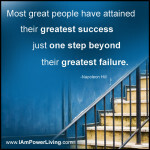 Learn more about our Founder, get some inspiration from the wwwIAmPowerLiving.com empowerment platform and buy our products from the www.PowerLivingMedia.com e-commerce platform. To connect with us, email info@power-living.com or call 212-901-6913. 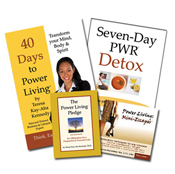 Check out our weekly Dose of Power Living. Dr. Terri Kennedy has been featured in media around the world. Find out more. Power Living Enterprises, Inc. 116 West 23rd St., Suite 500 NY, NY 10011 tel/fax: 212-901-6913 * Power Living is a registered trademark of Power Living Enterprises, Inc.